Do you want to dress up your Windows 7 desktop for upcoming Holiday season? 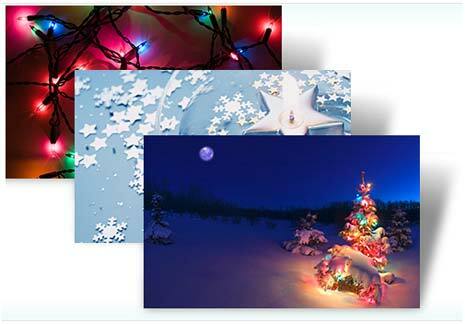 Microsoft’s official Windows 7 theme gallery has lot of beautiful themes for the holiday season fill. 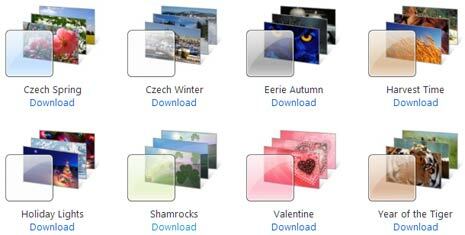 All themes come with scenic wallpaper background options and installs in few mouse clicks. Here is listing of Holiday themes for more beautiful looking Windows 7 desktop this holiday season. Holiday Lights themepack focus on sparkle and lightening of the holiday season. It has lot of wallpapers with cool decorative light effects for your Windows 7 desktop. Just double click download link to install and use this theme on your Windows 7 PC. Click here to check complete listing of Holiday themes for your Windows 7 computer. It includes themes like: Czech Winter, Czech Spring, Eerie Autumn, Harvest Time, Shamrocks, Valentine and Year of the Tiger.